Who am I?? Like most females of our species, I am not one, but many, things…… wife, mother, grandmother, stitcher, quilter and lover of fabric, friends and fun. I live in Melbourne - said to be the coffee capital of Australia and one of the world’s most liveable cities. Family is at the core of my world and it is one of life’s greatest joys to spend time with them, especially my adorable grandchildren. I am a teacher but, after a long career working in both the primary and adult education sectors, have recently retired. However, the saying ‘once a teacher, always a teacher’ is a truism. 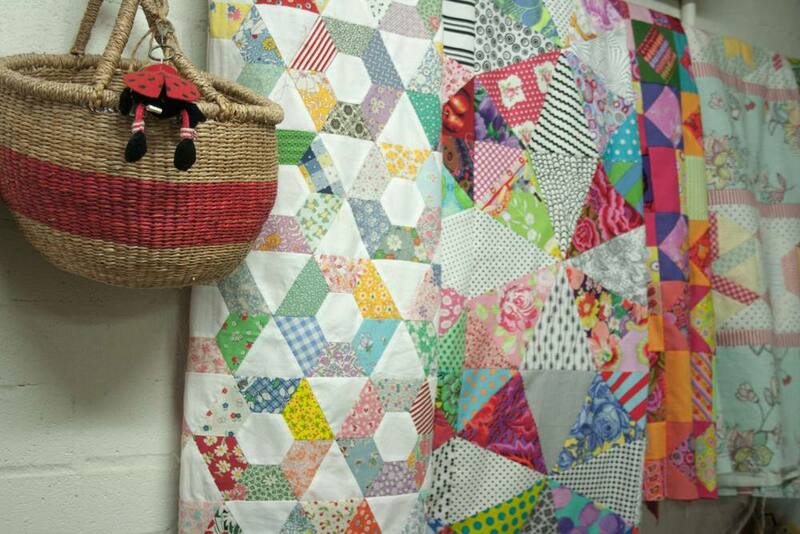 My hobby became a passion, then an obsession and now I teach patchwork and quilting. I hold regular classes at Amitie Textiles in Melbourne, teach in country Victoria, facilitate sessions at a Community Centre, as well as running private workshops in my studio. I developed a love of fabric and stitching early in my life as I sat at my grandmother's knee watching her sew. At the age of 3, I spent many hours diving into Grandma’s huge Button Jar, retrieving my favourite buttons and then wielding my ‘crowbar needle’ to ‘stitch’ the buttons on to fabric scraps. (Later, she’d snip off the buttons & return them to the jar for next time!) These days I have my own Button Jar for my Grandies to enjoy! Over the years I explored many ‘crafty’ pursuits including dressmaking, felting, cross stitch, tapestry, costume design, Chinese ink painting, folk art painting and embroidery. I had a long career as a teacher in primary schools and the adult education sector. Although I loved ‘playing with fabric’ and very much admired the creativity of my patchwork friends, I always felt I was ‘too busy’ with school commitments to take up a big stitching project. ‘No point in starting, I’d never finish it’, was a statement I often made. I have retired from primary school teaching, and am thoroughly enjoying the next stage of my life. I have had the time and opportunity to go exploring in Quiltland, experiment with methods and styles and build up my fabric stash!!! 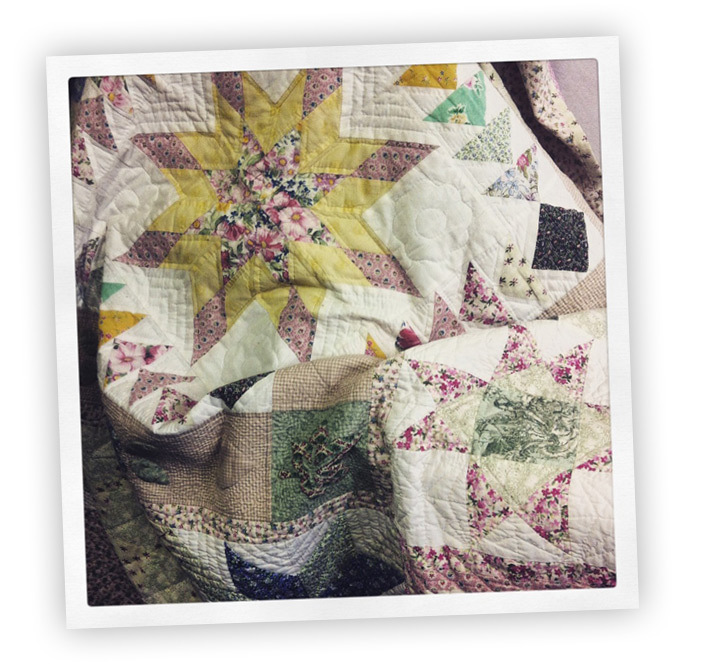 My knowledge and skill base grew and subsequently I began teaching patchwork and quilting a number of years ago. I hold regular classes at Amitie Textiles in Melbourne, teach in country Victoria, facilitate sessions at a Community Centre, as well as running private workshops in my studio. ‘Once a teacher, always a teacher’ they say! I think it is important to recognise and appreciate the individual needs and learning styles of students resulting in a very flexible approach in my classes, with the tuition tailored accordingly. Clear explanations and techniques for accuracy are provided, but perfection is not necessarily the prime end goal. The learning of skills and procedures is essential, however, the main focus is always to enjoy the experience, have fun and bask in the benefits of camaraderie, relaxation and pleasure in creating something special. I find inspiration and motivation to create new quilts springs from many areas, things such as:- a fabric design that says ‘pick me for your stash’; mosaic tiles or leadlight windows in a heritage building; an image of a beautiful antique or vintage block or quilt that calls to be reworked in a modern colour palette. There is always a new project (or two…or more!) brewing well before the completion of the current one. As far as I’m concerned, there’s no such thing as ‘too many projects on the go’! and there are no deadlines for completion. Although I have explored and teach a wide range of skills and techniques, my particular favourites are hand-piecing, appliqué, fussy cutting and hand quilting.